Price includes: $1,500 - TMS Customer Cash - LA. Exp. 04/30/2019 2019 Toyota Tundra SR5Tundra SR5, 4D Double Cab, i-Force 5.7L V8 DOHC 32V LEV, 6-Speed Automatic Electronic with Overdrive, RWD, Silver Sky Metallic, Graphite w/Fabric Seat Trim. Price includes: $1,500 - TMS Customer Cash - LA. Exp. 04/30/2019 2019 Toyota Tundra SR5 4.6L V8Tundra SR5 4.6L V8, 4D CrewMax, 4.6L V8 DOHC Dual VVT-i 32V, 6-Speed Automatic Electronic with Overdrive, RWD, Super White, Black w/Fabric Seat Trim. 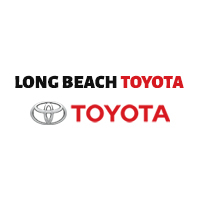 2018 Toyota Tundra SR5 CrewMaxTundra SR5 CrewMax, 4D CrewMax, i-Force 5.7L V8 DOHC 32V LEV, 6-Speed Automatic Electronic with Overdrive, Super White.Why West Coast Toyota of Long Beach? Brand new building to house hundreds of vehicles New service center for quick and quality service visits Comfortable customer lounge with snacks and WiFi Toyota Certified service staff Free shuttle services for our service customers. Fully stocked parts department with thousands of parts and accessories available at all times. Toyota Rental Cars Drive one of the latest model Toyotas for business, pleasure or while yours is being serviced. 2018 Toyota Tundra Limited CrewMaxTundra Limited CrewMax, 4D CrewMax, i-Force 5.7L V8 DOHC 32V LEV, 6-Speed Automatic Electronic with Overdrive, RWD, Super White, Black w/Leather Seat Trim (LE).Why West Coast Toyota of Long Beach? Brand new building to house hundreds of vehicles New service center for quick and quality service visits Comfortable customer lounge with snacks and WiFi Toyota Certified service staff Free shuttle services for our service customers. Fully stocked parts department with thousands of parts and accessories available at all times. Toyota Rental Cars Drive one of the latest model Toyotas for business, pleasure or while yours is being serviced. Price includes: $1,500 - TMS Customer Cash - LA. Exp. 04/30/2019 2019 Toyota Tundra SR5Tundra SR5, 4D Double Cab, i-Force 5.7L V8 DOHC 32V LEV, 6-Speed Automatic Electronic, 4WD, Midnight Black Metallic, Graphite w/Fabric Seat Trim or Fabric Seat Trim w/TRD Off Road Package RO. Price includes: $1,500 - TMS Customer Cash - LA. Exp. 04/30/2019 2019 Toyota Tundra SR5 CrewMaxTundra SR5 CrewMax, 4D CrewMax, i-Force 5.7L V8 DOHC 32V LEV, 6-Speed Automatic Electronic, 4WD, Super White, Black w/Fabric Seat Trim or Fabric Seat Trim w/TRD Off Road Package. Price includes: $1,500 - TMS Customer Cash - LA. Exp. 04/30/2019 2019 Toyota Tundra SR5 CrewMaxTundra SR5 CrewMax, 4D CrewMax, i-Force 5.7L V8 DOHC 32V LEV, 6-Speed Automatic Electronic, 4WD, Super White, Graphite w/Fabric Seat Trim or Fabric Seat Trim w/TRD Off Road Package. Price includes: $1,500 - TMS Customer Cash - LA. Exp. 04/30/2019 2019 Toyota Tundra SR5 CrewMaxTundra SR5 CrewMax, 4D CrewMax, i-Force 5.7L V8 DOHC 32V LEV, 6-Speed Automatic Electronic with Overdrive, 4WD, Super White, Black w/Fabric Seat Trim or Fabric Seat Trim w/TRD Off Road Package. 2018 Toyota Tundra Limited CrewMaxTundra Limited CrewMax, i-Force 5.7L V8 DOHC 32V LEV, 6-Speed Automatic Electronic with Overdrive, 4WD, BLK LEATHER (LB).Why West Coast Toyota of Long Beach? Brand new building to house hundreds of vehicles New service center for quick and quality service visits Comfortable customer lounge with snacks and WiFi Toyota Certified service staff Free shuttle services for our service customers. Fully stocked parts department with thousands of parts and accessories available at all times. Toyota Rental Cars Drive one of the latest model Toyotas for business, pleasure or while yours is being serviced. 2018 Toyota Tundra Limited CrewMaxTundra Limited CrewMax, 4D CrewMax, i-Force 5.7L V8 DOHC 32V LEV, 6-Speed Automatic Electronic with Overdrive, 4WD, Super White, Black w/Leather Seat Trim or Leather Seat Trim w/TRD Off Road Package.Why West Coast Toyota of Long Beach? Brand new building to house hundreds of vehicles New service center for quick and quality service visits Comfortable customer lounge with snacks and WiFi Toyota Certified service staff Free shuttle services for our service customers. Fully stocked parts department with thousands of parts and accessories available at all times. Toyota Rental Cars Drive one of the latest model Toyotas for business, pleasure or while yours is being serviced. Price includes: $1,500 - TMS Customer Cash - LA. Exp. 04/30/2019 2019 Toyota Tundra Platinum 5.7L V8Tundra Platinum 5.7L V8, 4D CrewMax, i-Force 5.7L V8 DOHC 32V LEV, 6-Speed Automatic Electronic, 4WD, Magnetic Gray Metallic, Black w/Leather Seat Trim (LE). Price includes: $1,500 - TMS Customer Cash - LA. Exp. 04/30/2019 2019 Toyota Tundra 1794 CrewMaxTundra 1794 CrewMax, 4D CrewMax, i-Force 5.7L V8 DOHC 32V LEV, 6-Speed Automatic Electronic, 4WD, Midnight Black Metallic, Brown/Black w/Leather Seat Trim (LD).